Fr John Moore SJ is remembered as a humble giant of an educator who had an immense impact on generations of students and parents. On Monday 6 August 2018, the Australian Jesuit Fr John Moore will be honoured by the Postal Department of India with the issue of a first day cover and postage stamp to mark the centenary of his birth. The Hazaribag Old Xaverian’s Association has been authorised to sell a number of first day covers, and has arranged a celebratory program, which commences on Sunday 5 August. Prices and details of the program can be found here. Born in country Victoria and later completing his Jesuit training in Melbourne, Sydney and at Sevenhill, SA, Fr Moore was a member of the original team of six Jesuits who arrived in the Hazaribag region of India in 1951. He built and organised the new St Xavier’s College in Hazaribag, which opened its doors to students in January 1952. In 1966 Fr Moore started another school at Bokaro Steel City, and a new St Xavier’s College that was co-educational and provided for poor students. Later he was involved in the Colloquium and Curriculum Improvement Program. 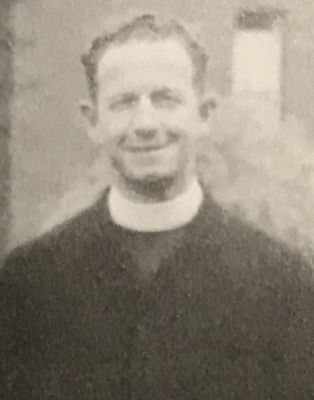 In the Australian Dictionary of Jesuit Biography, Fr Moore is remembered as a gentle man who was courteous and supportive. ‘He formed a strong bond with both students and parents, as he was essentially a caring and compassionate man. Discipline and routine matters were left to other teachers’, the biography notes. Since his death in 1988 at the age of 70, he has been remembered fondly in India as a humble giant of an educator who had an immense impact on generations of students and parents in that part of the world.